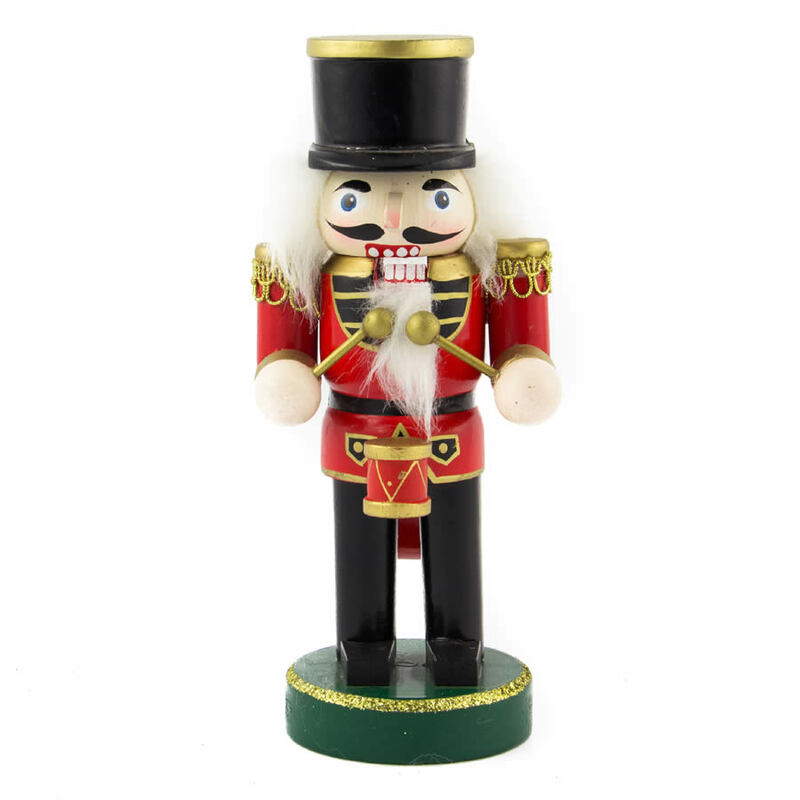 These kindly soldiers are the perfect item to start out a collection of fine nutcrackers, or to give as a thoughtful gift to someone who already appreciates these wooden, whimsical accents. Each Regal Nutcracker stands approximately 22cm tall and is around 10cm wide at the largest point. The bold, vibrant colours of each of the four styles are rich and beautiful- perfect to merge with any existing holiday schemes or colour palettes. Group these tiny soldiers on a table or shelf for a memorable and welcoming display that will put visitors in the holiday mood when they visit your home. Give these to friends or co-workers for a traditional gift that will evoke childhood memories and laughter. Check out the details of these nutcrackers, from the gold detail on their uniforms to the fluffy, white beards and distinctive moustaches. Stunning!